When planning a WiFi project one of the first questions people typically have is related to how many access points they will need. To provide the best possible answer the following information is needed. Without knowing above, the estimate will be a very rough. But for those that just want a starting point, a rough estimate is 1600 square feet per access point for typical scenarios and or one access point for every 30 users. Caution: We don't recommend making purchase or budgetary decisions based on these numbers. 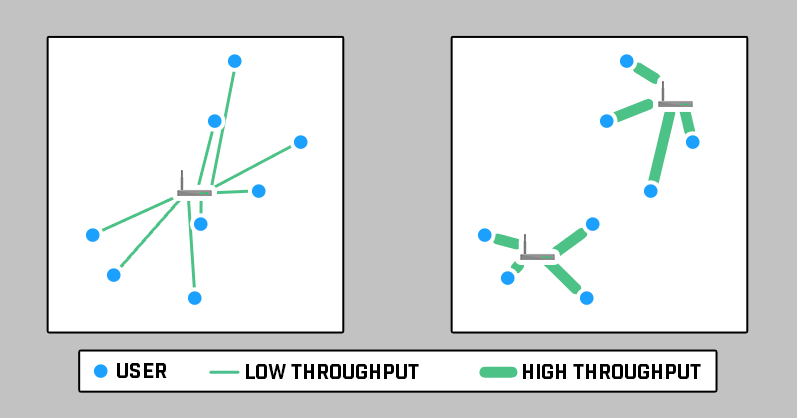 If you already have estimates, check out more detailed information on proper wireless access point placement within a enterprise environment. Below are additional details that when available can improve the estimated access point count. 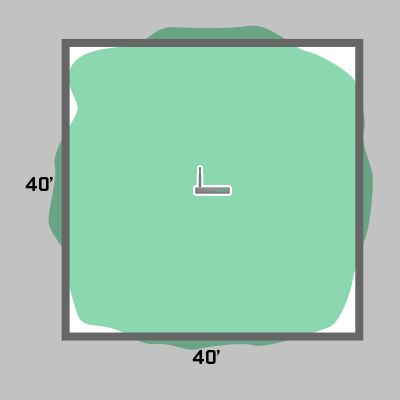 A better estimate requires knowing the shape of the area. 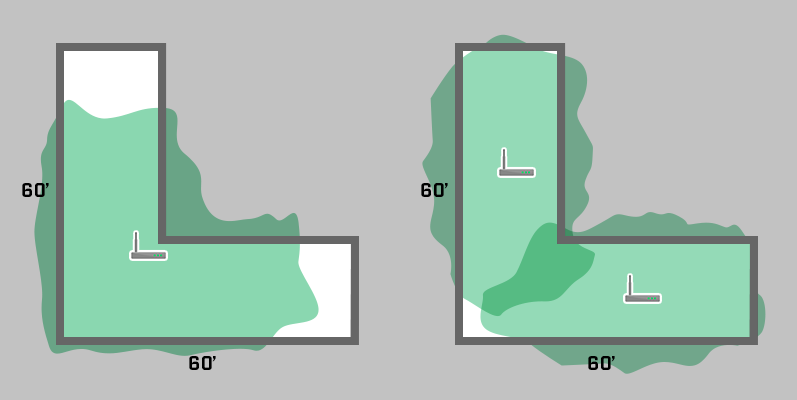 If the area is an "L", "H" or "T" shaped floor plan the indoor area may be the same as point #1 but the access points most likely can not be placed in a location to that will be central to all users without the signal traversing multiple exterior or interior walls. For these scenarios the following multiple factor can be used per floor plan type. An even better estimate requires knowing the material type of each wall. If internal wall material is brick, cement, or cinderblock, the number of access points needed will increase. If you must have a number a rough estimate is one access point every 800 square feet or 75 square meters. 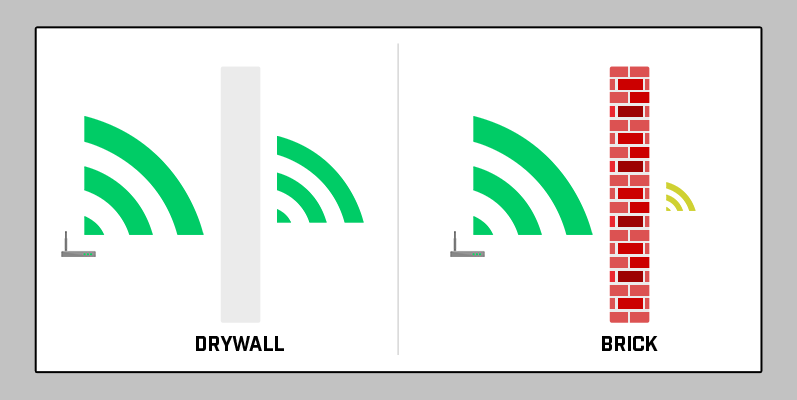 In most cases, the biggest issue isn't the access point signal reaching clients but the low power client signal getting back to the access point. Improving on the coverage estimates above can can be achieved by knowing the number of users. Estimating access point count using the number of users or devices is better when the areas are for a large number of users like lecture halls, auditoriums, and stadiums. For example, a large sports stadium that seats 80,000 spectators with a rectangle shaped bowl has dimensions 650 feet x 750 feet. Based on outdoor WiFi signal propagation, an access point can easily cover 10,000 square feet but we are going to use our standard 1600 square feet per access point number from above. Using coverage only math 487,500 square feet / 1600 = 305 access points. A better estimate is user count based. Assuming that only 50% of the spectators will use/connect to WiFi results in 40,000 WiFi users. Out of those 40,000 WiFi users we can estimate about 25% are actively using WiFi at any single time. Using 30 users per access point estimate from above resulting in about 334 access points needed for an 80,000 seat stadium. The estimates above are mostly based access point counts needed for a strong signal for all users (-67 dBm or better / 4+ bars). 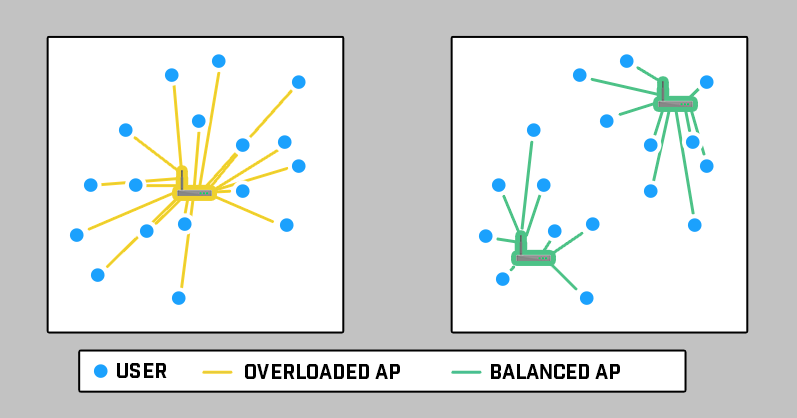 This does not take into account many factors that tend to make WiFi inefficient in large / dense user environments. Another method is to estimate access point count based on capacity requirements. For the stadium example in #4 the results would be something like below. Estimating access point counts are only as good as the assumptions for the estimation. As more information is gathered about the physical space, user counts, application/throughput requirements, and how the WiFi equipment is configured the estimates are much more reliable. From there you can start really thinking about the design phase and have more detailed approach to properly placing wireless access points.